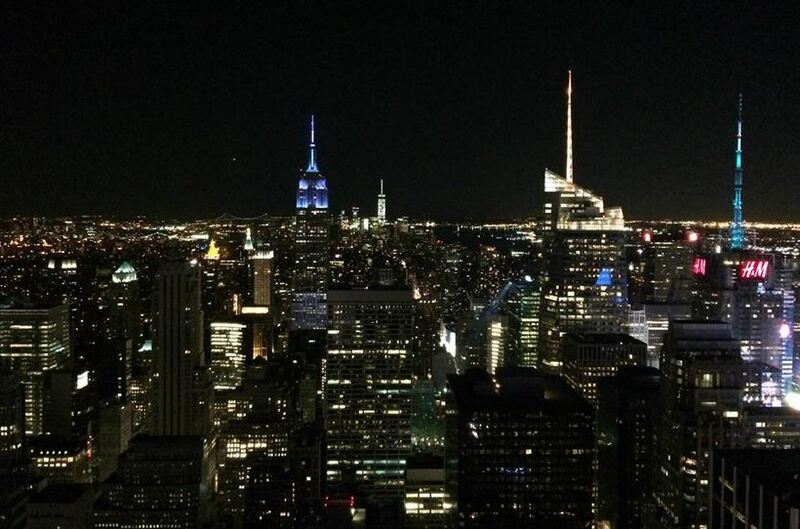 NYC is one of the best cities to visit over a long weekend. Being a directionally challenged traveller, the 1811 development plan of Manhattan to use numbered avenues and streets makes it by far one of the easiest cities to navigate through. Unlike the wandering you might do in cities like London or Paris, you purposefully charge forward at the pace of a New Yorker. Below is a three day itinerary of the best sights, shows, sweets and eats. Enjoy! Accommodation is expensive, so if you’re only a short flight away, pay the additional cost to fly out in the morning. If flying into Newark, take the train to Penn Station. This will cost you $12.50 USD per person and is around a 20 minute ride. Since my husband and I were staying for only two nights we packed light, bringing only our backpacks so we could hit the town as soon as we arrived. From Penn Station start walking west to the top of The High Line park. City parks are one of my favourite locations to visit while travelling. 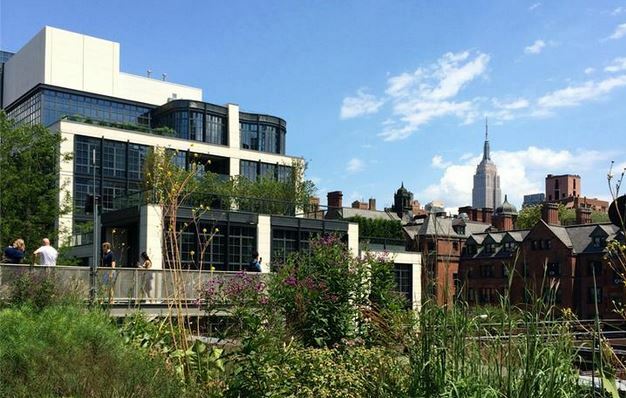 The High Line, an old rail road track from 1934, is an excellent example of how a group of people can revitalize a city’s past into a beautiful public space. The elevated park provides you with fantastic views of Manhattan’s west end and leads you right to Chelsea Market on 14th street! You get off just before the shops under the bridge. Chelsea Market is located in the Meatpacking District, where the High Line once served butchers in the area. We lucked out as Pop Up New York had pulled together a showcase of the best food vendors NYC has to offer just outside of Chelsea Market the day we arrived! Before heading into the enclosed market we tried pan-Asian inspired tacos from Domo Taco and pho packed dumplings from Phumpling. Both incredible and we highly recommend you look them up. From there we walked down to Greenwich Village where some of the best old-time jazz clubs and restaurants are located (20 minute walk). After many recommendations on where to eat, we followed the line ups and waited for a table at Buvette. The part restaurant, part bar, part café is the perfect neighbourhood lunch spot and well worth the wait. Stomachs full, we walked through Washington Square Park and down Broadway to the World Trade Center memorials (40 minute walk). The memorial is set within the footprints of the original Twin Towers and features the largest man made waterfalls in North America cascading over the sides. The memorial is not far from Battery Park at the bottom of Manhattan and is worth walking along the Hudson River to get to (20 minute walk). 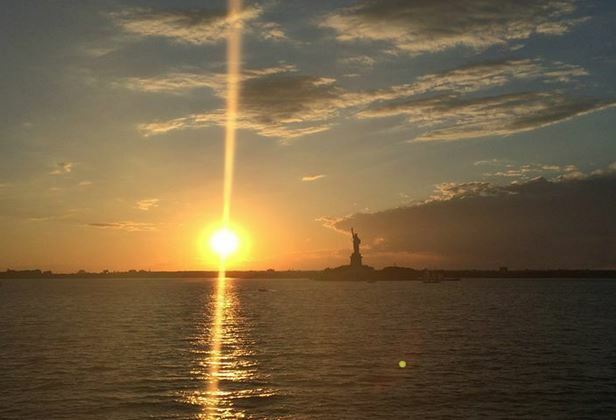 Take in the sights of The Statue of Liberty in the distance from Battery Park. If you want to see her closer and are on a budget, take the Staten Island Ferry (no cost) and you will go right by. After all this walking you will need a drink and must experience the NYC cocktail! The cocktail was invented in NYC so it really should be included in your itinerary every day. Since we were at the south end of Manhattan we went to The Dead Rabbit Grocery and Grog. With a taproom on the ground floor and a parlour upstairs, it’s the perfect spot to take a break. As in the traditional “spirit groceries” of Ireland, you can also purchase hard-to-find Irish and British imports. Depending on time, either take a cab back to your hotel or a more scenic route along the east side of Manhattan via ferry. The ferry will take you under Brooklyn Bridge. If you feel like stopping in Williamsburg, now is the chance. If it is before six, you can check out the Smorgasburg at Brooklyn Flea. Since we were staying in Midtown, our hotel was walking distance to Rockefeller Center where we could marvel over NYC’s famous skyline, a view we will never forget. For a late night snack, stop for a cupcake at Magnolia bakery just outside Rockefeller Center. As I am a baker, when I turned to friends and co-workers for their must visit locations for NYC, they provided me with an extensive list of bakeries to check out and they did not disappoint. Our first bakery stop was at Milk Bar where we were introduced to the incredible Cornflake-Marshmallow-Chocolate-Chip-Cookie. Since my husband and I were on holiday, cookies for breakfast was absolutely acceptable. We took our cookies to go and headed out to find a spot under a tree in Central Park. We can all thank the 1853 New York State Legislature for setting aside the incredible space that is now Central Park. Having over 750 acres of land available to the public, it contributed not only to the formation of a civil society but became a leader among urban parks across America. You could easily spend an entire day here. When we were on the west side of the park we took a slight detour to check out Levain Bakery for their world-famous six-ounce chocolate chip walnut cookie. Only in NYC will you line up for 15 minutes for a cookie. From there you are a short 10 minute walk from the Lincoln Center. During the summer months it is worth looking into the free concerts and events put on at the Lincoln Center. We met up with a friend for lunch across from the Lincoln Center at The Smith and then headed back for a free show in the afternoon. After listening to some great music it was time to head to Times Square. It is one of the NYC sites that is a must see but you only want to see it once. It’s beyond crowded. It’s also one area where food is hit or miss. We set out for Shake Shack, a successful NYC chain that sprouted from a hot dog cart in Madison Square park. 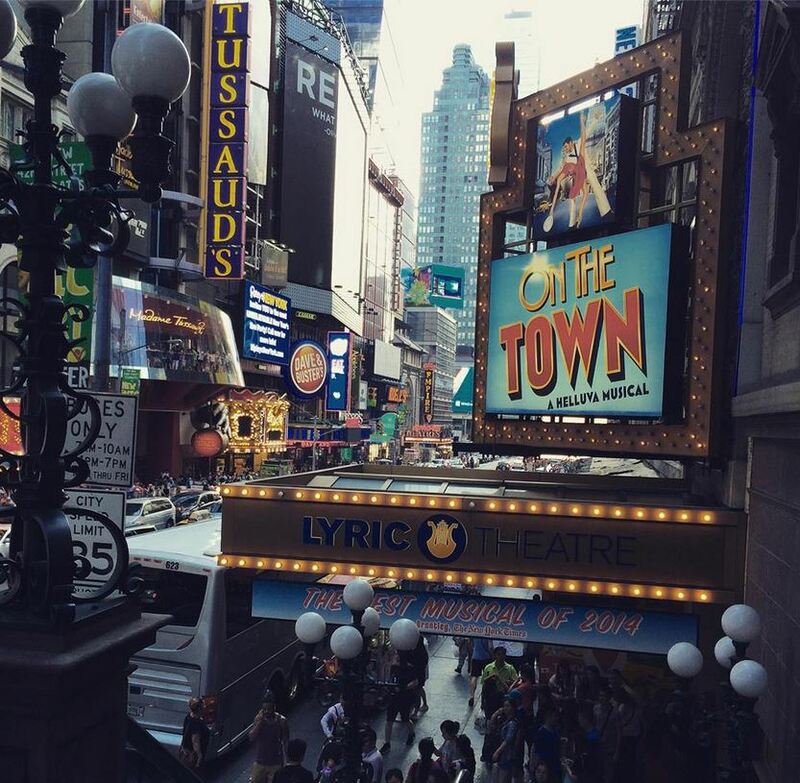 The best part of Times Square is the surrounding theaters and choosing a Broadway play. On a friend’s recommendation, we went to check out On the Town. The Broadway play could not have been more fitting for a NYC visit as you follow three sailors with only 24 hours in New York. The production also has the largest orchestra on Broadway! For our final day in the city we chose to have more of a sit down breakfast at Sarabeth’s, an award-winning jam maker. One of their locations is directly across from Central Park so we took one last stroll through before heading to NBC for a studio tour. My husband works in TV so he had the opportunity to geek out a little with all the equipment sound boards and such. I do not know the proper lingo to use here but bottom line is it’s a pretty cool experience seeing the inner workings of some of your favourite shows. After the tour we hit up as many of the remaining recommendations we had from people as possible. Since we were exhausted we took a cab to East Village and hit all our spots as we walked back up to Penn Station to catch the train back to the airport. We started off our food tour with none other than our favourite indulgence, Ice Cream. 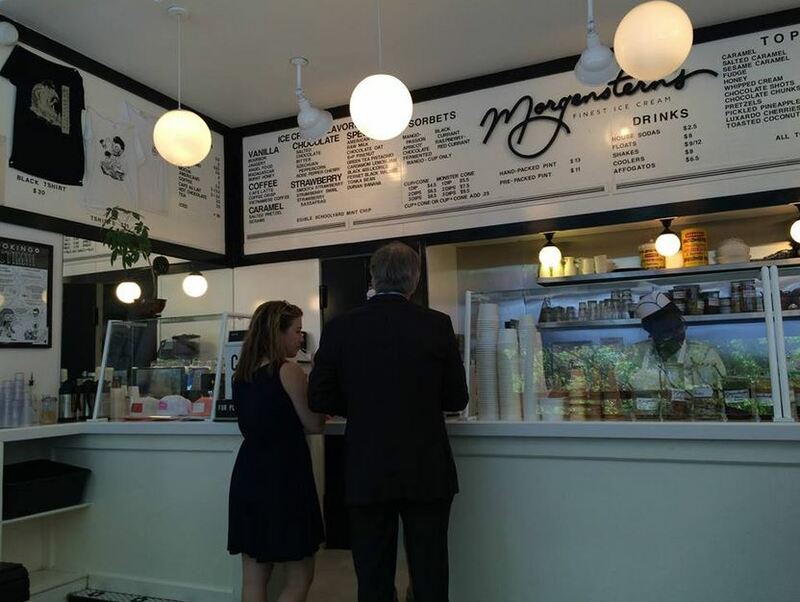 Morgenstern’s finest ice cream was incredible and we couldn’t believe we hadn’t had ice cream until our last day in NYC! I’m going with the fact that we got side tracked with all the cookies to justify such a crime. This ice cream parlour is incredible and the flavours are outstanding. My sweet tooth at the time overruled my better judgement consuming way too much Pretzel Salted Caramel ice cream while my husband decided on the smoothest Strawberry ice cream I have ever tried. With our slight sugar rush we needed a snack with more substance – carbs. We walked on over to Cafe Habana, who had a fantastic take on mexican corn and the cuban sandwich. Stomachs full it was time to walk it off. If you head west on Prince street it is recommended to pick up a small snack for the plane from Once Upon a Tart. However, we were headed to another restaurant, Joseph Leonard, so we took the most direct route. It took us about 22 minutes to walk, just enough time to get hungry again. 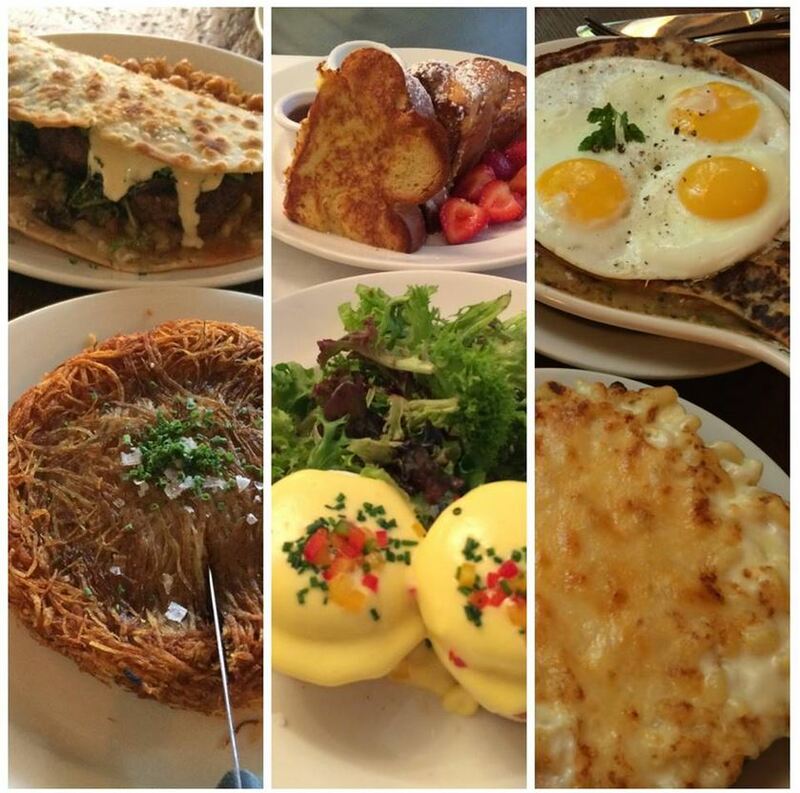 Joseph Leonard was recommended to us as the ultimate place for brunch. The restaurant sits very few people so be prepared to wait as you cannot make reservations. I knew I would like the place as soon as we walked in due to the simple fact that they had their own Gerkin pickles on every table. My husband and I split the lamb meatballs and a hashbrown. The hashbrown is a full meal and the size of a small skillet! Each were equally delicious. So, what next you ask? Well ice cream of course! Not just any kind though, soft serve, Big Gay Ice Cream to be exact. Starting out as a food truck, Big Gay Ice Cream opened shop in 2011 offering customers fun unique toppings. I went for the classic rainbow sprinkled cone however next visit I will definitely be trying Salty Pimp. 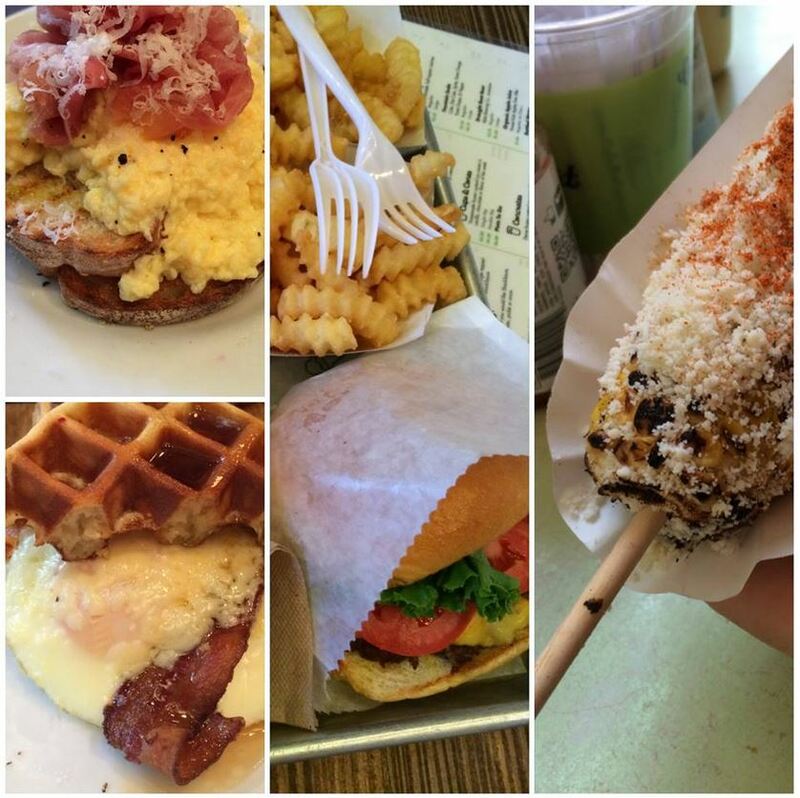 With all the walking you do in NYC you can eat whatever you want for the three days you’re visiting. We walked roughly 8km per day! Comment below with your favourite spots in the city. This entry was posted in United States and tagged Big Gay Ice Cream, Broadway, Brooklyn Bridge, Buvette, Central Park, Chelsea Market, City Parks, Cocktails, Domo Taco, Greenwich Village, Ice Cream, Joseph Leonard, Levain Bakery, Lincoln Center, Long Weekend, Magnolia Bakery, Manhattan, Milk Bar, Morgensterns, NBC, New York City, NYC, On the Town, Phumpling, Pop Up New York, Rockefeller Center, Shake Shack, Skyline, Staten Island Ferry, Statue of Liberty, Studio Tour, The High Line, Times Square, Washington Square Park, Weekend Getaway, World Trace Center. Bookmark the permalink.